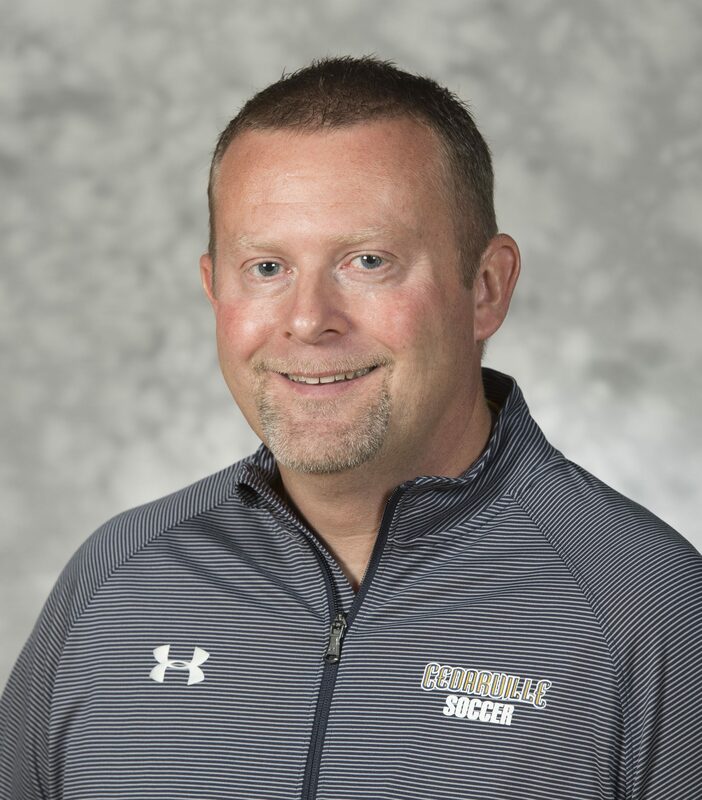 There’s a new face on the sidelines for Cedarville women’s soccer this season. Following the retirement of John McGillivray, new head coach Jonathan Meade is ready to assume the role and take the program to even higher heights. Meade comes to Cedarville after an eight-year stint as the head coach at Ohio Dominican University, where he led the Panthers to a Great Lakes Intercollegiate Athletic Conference regular season championship and an NCAA national tournament berth last season. Beyond his credentials as a coach, Meade impressed Geist with his understanding of what Cedarville is all about. Meade spent his playing career and the first half of his coaching career competing against Cedarville at Mount Vernon Nazarene University. Now that he’s here, Meade has set to work implementing a new style of play and structuring practices for specific goals. The transition has been smooth for the most part, helped by the fact that assistant coach Brianne Barnes is back for her sixth season. On the field, Meade has lofty goals for the program, including winning a national championship. The players are buying in, knowing that while these goals may seem far off, what they do now will set the stage for the teams to come. Tyler Greenwood is a junior mechanical engineering major and a sports reporter for Cedars. No Replies to "New women’s soccer coach has lofty goals"